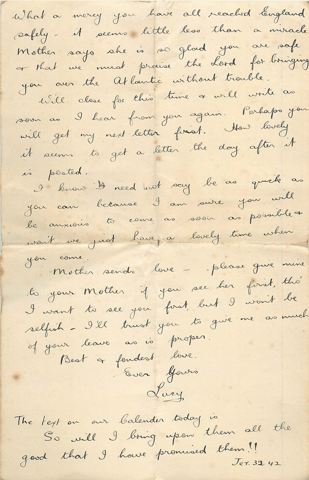 James met Lucy Kelk on a preaching trip to the Cornwell coast back in May 1910. Lucy was on holiday with her three friends in the village of Looe. James and Lucy immediately struck up a relationship. 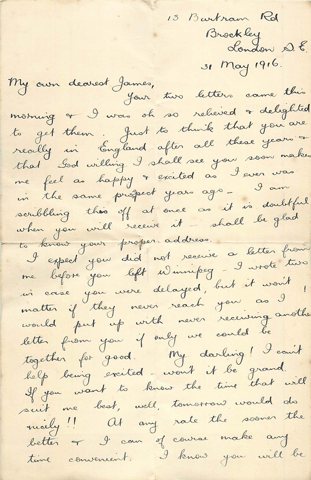 In 1912 they had entered into a mutual engagement for marriage, but just prior to his departure for Canada (December 1912), that engagement broke down and he left with a broken heart. [Lucy’s sister and her husband]. Mrs. Kelk was very nice. 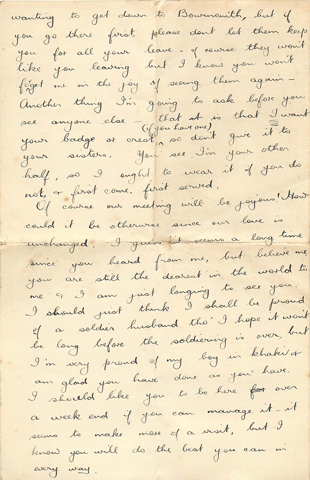 Below are the last two pages of Lucy’s letter to James when he arrived back in England as a soldier (the first page appears above).